I like to shoot weddings in a wedding photojournalistic way without interfering, and I do that through the ceremony and reception staying vigilant for the unscripted moments. But I also know how important portraits are to my couples, and I have to admit I have so much fun posing them in different kinds of ways, from contemporary and fashionable poses, to romantic and funny situations, to the ones that truly reflect themselves, and that is the biggest compliment when I hear that I really captured them. Capturing details in a fashionable and beautiful way is another tricky process where you can cross the wedding photojournalistic fine line specially if you put an art director’s hat with the hopes the shot can submitted for publication. While I’m being commissioned to photograph a wedding, and I’m trying to conform with certain standards and rules of photography and magazine styles, I need to keep my artistic sanity, and I do that by making sure that on every wedding I take at least one picture just for me. The following picture inspired me to start a weekly post featuring a photo that I took just for me. This is My photo of the week. 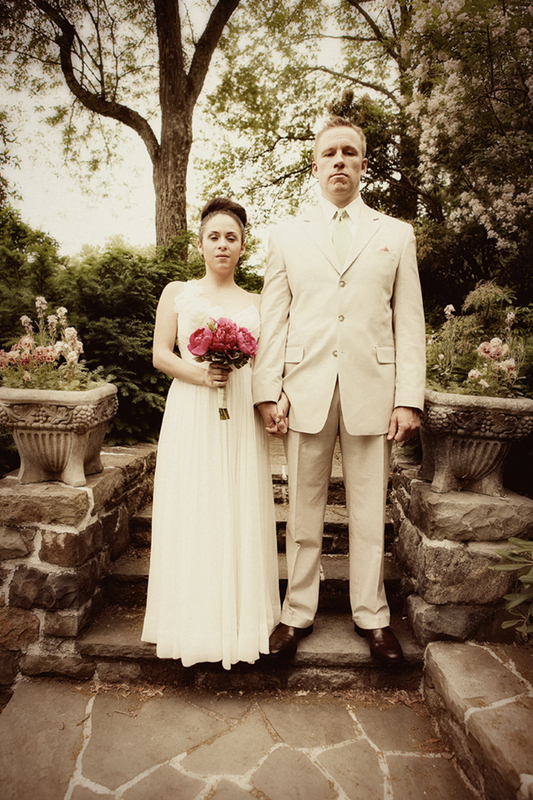 Marcela and Eric got married at the Reeves-Reed Arboretum in Summit, New Jersey. Since the house of the arboretum was built in 1889, I decided to take a portrait that gave me that turn of the century look. I posed Marcela and Eric in an unflattering way and asked them to stand side, by side looking directly at the camera, Danny looked at me like saying what are you doing? But again, this picture was just for me. I desaturated the picture enough just to leave hints of color on the background and on her bouquet.